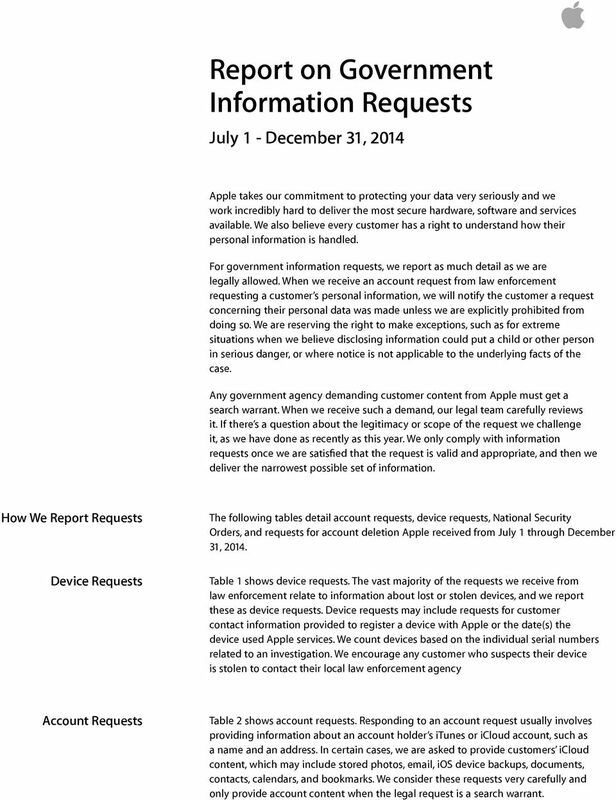 Download "Report on Government Information Requests"
1 Report on Government Information July 1 - December 31, 2014 apple Apple takes our commitment to protecting your data very seriously and we work incredibly hard to deliver the most secure hardware, software and services available. We also believe every customer has a right to understand how their personal information is handled. For government information requests, we report as much detail as we are legally allowed. When we receive an account request from law enforcement requesting a customer s personal information, we will notify the customer a request concerning their personal data was made unless we are explicitly prohibited from doing so. We are reserving the right to make exceptions, such as for extreme situations when we believe disclosing information could put a child or other person in serious danger, or where notice is not applicable to the underlying facts of the case. Any government agency demanding customer content from Apple must get a search warrant. When we receive such a demand, our legal team carefully reviews it. If there s a question about the legitimacy or scope of the request we challenge it, as we have done as recently as this year. We only comply with information requests once we are satisfied that the request is valid and appropriate, and then we deliver the narrowest possible set of information. 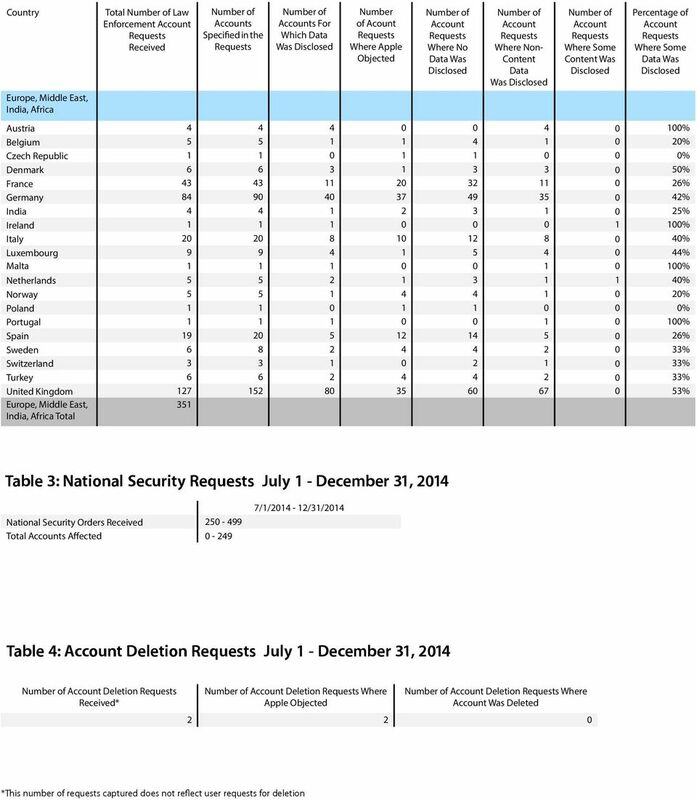 How We Report The following tables detail account requests, device requests, National Security Orders, and requests for account deletion Apple received from July 1 through December 31, Device Table 1 shows device requests. 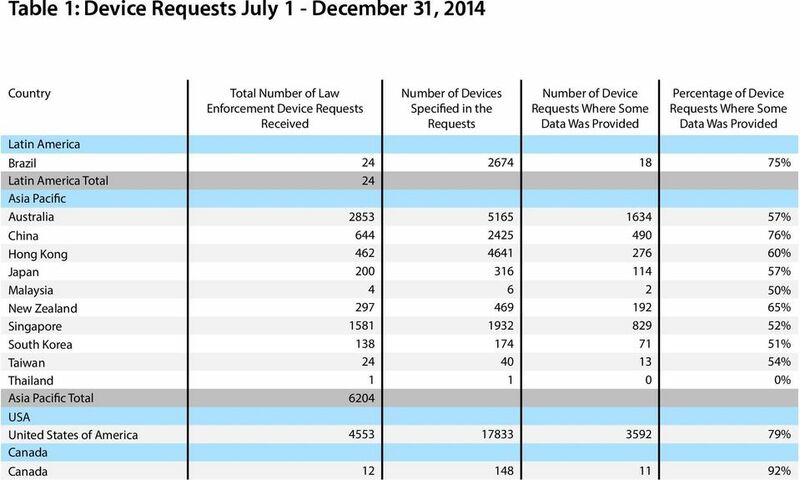 The vast majority of the requests we receive from law enforcement relate to information about lost or stolen devices, and we report these as device requests. Device requests may include requests for customer contact information provided to register a device with Apple or the date(s) the device used Apple services. We count devices based on the individual serial numbers related to an investigation. We encourage any customer who suspects their device is stolen to contact their local law enforcement agency Table 2 shows account requests. Responding to an account request usually involves providing information about an account holder s itunes or icloud account, such as a name and an address. In certain cases, we are asked to provide customers icloud content, which may include stored photos, , ios device backups, documents, contacts, calendars, and bookmarks. We consider these requests very carefully and only provide account content when the legal request is a search warrant. 2 National Security Orders Table 3 shows all the national security orders we have received, including orders received under FISA and National Security Letters ( NSLs ). To date, Apple has not received any orders for bulk data. We report all the national security orders we have received, including orders received under FISA and National Security Letters ( NSLs ), in bands of 250. Though we want to be more specific, this is currently the narrowest range allowed by the government. Consistent with the Update on National Security and Law Enforcement Orders that we published in January, we are also reporting the actual number of account requests for information related to law enforcement investigations that Apple received from U.S. law enforcement agencies. 4 Table 1 (continued): Device July 1 - December 31, 2014 Country Total Law Enforcement Device Received Devices Specified in the Device Where Some Percentage of Device Where Some Europe, Middle East, India, Africa Austria % Belgium % Czech Republic % Denmark % Finland % France % Germany % Greece % Hungary % Iceland % India % Ireland % Israel % Italy % Kuwait % Latvia % Luxembourg % Monaco % Netherlands % Norway % Poland* % Portugal % Romania % Russia % San Marino % Slovenia % South Africa % Spain % Sweden % Switzerland % Turkey % Ukraine % United Kingdom % Europe, Middle East, India, Africa Total *Poland: predominately requests from Polish Customs and Revenue Authorities. 7 Glossary of Terms apple Table 1 Definitions Total Law Enforcement Device Received The number of device-based requests issued by a government agency and/or a court that are received by Apple and seek customer data related to specific device identifiers such as serial or IMEI numbers. Law enforcement device requests come in various forms such as subpoenas, court orders, and warrants. A single request may involve multiple devices. For example, in the case of a recovered shipment of stolen devices, law enforcement may seek information related to several devices in a single request. 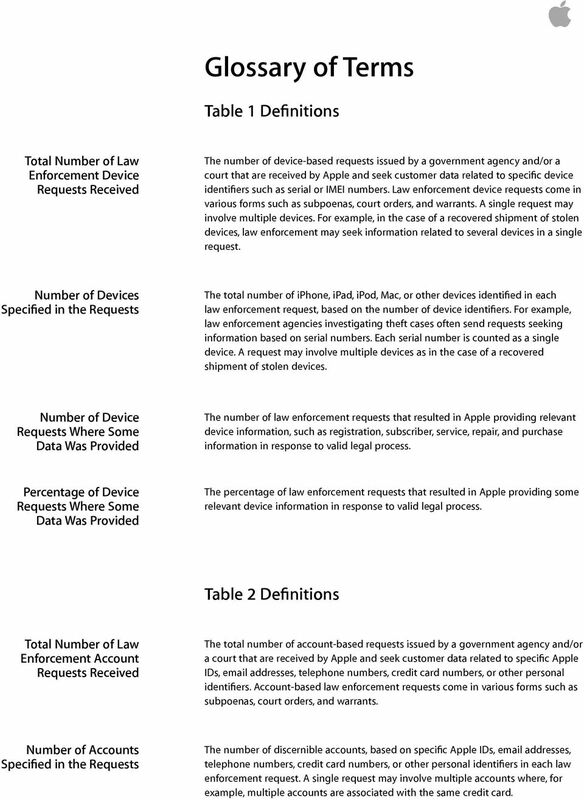 Devices Specified in the The total number of iphone, ipad, ipod, Mac, or other devices identified in each law enforcement request, based on the number of device identifiers. For example, law enforcement agencies investigating theft cases often send requests seeking information based on serial numbers. Each serial number is counted as a single device. A request may involve multiple devices as in the case of a recovered shipment of stolen devices. 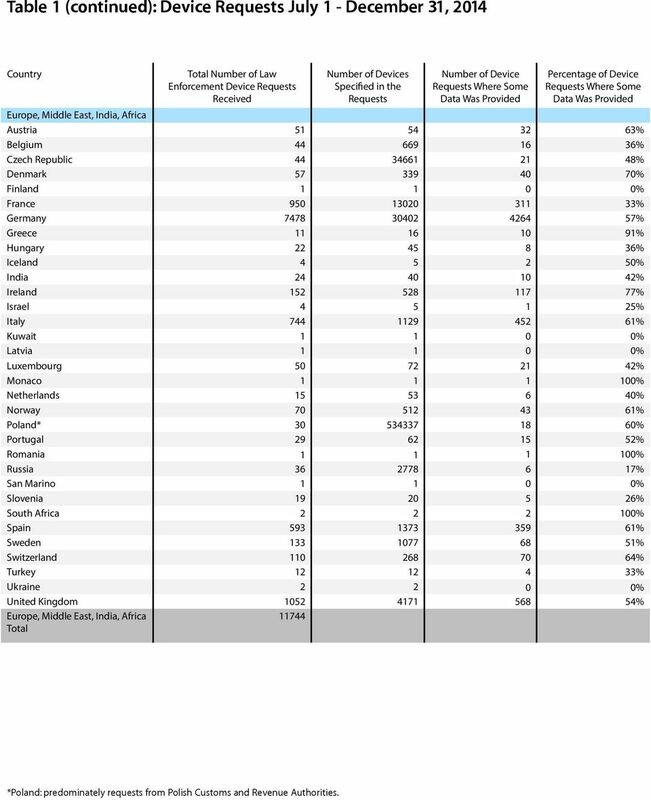 Device Where Some The number of law enforcement requests that resulted in Apple providing relevant device information, such as registration, subscriber, service, repair, and purchase information in response to valid legal process. Percentage of Device Where Some The percentage of law enforcement requests that resulted in Apple providing some relevant device information in response to valid legal process. Table 2 Definitions Total Law Enforcement Received The total number of account-based requests issued by a government agency and/or a court that are received by Apple and seek customer data related to specific Apple IDs, addresses, telephone numbers, credit card numbers, or other personal identifiers. -based law enforcement requests come in various forms such as subpoenas, court orders, and warrants. s Specified in the The number of discernible accounts, based on specific Apple IDs, addresses, telephone numbers, credit card numbers, or other personal identifiers in each law enforcement request. A single request may involve multiple accounts where, for example, multiple accounts are associated with the same credit card. 8 s for Which Data Was The number of discernible accounts, based on specific Apple IDs, addresses, telephone numbers, credit card numbers, or other personal identifiers, for which Apple provided some icloud, itunes, or Game Center data. Where Apple Objected The number of law enforcement requests that resulted in Apple refusing to provide some data based on various grounds, such as jurisdiction, improper process, insufficient process, invalid process, or where the scope of the request was excessively broad. For example, Apple may object to a law enforcement request as invalid if it were not signed. Where No Data Was Where Non- Content Data Was The number of law enforcement requests that resulted in Apple providing no customer information whatsoever. 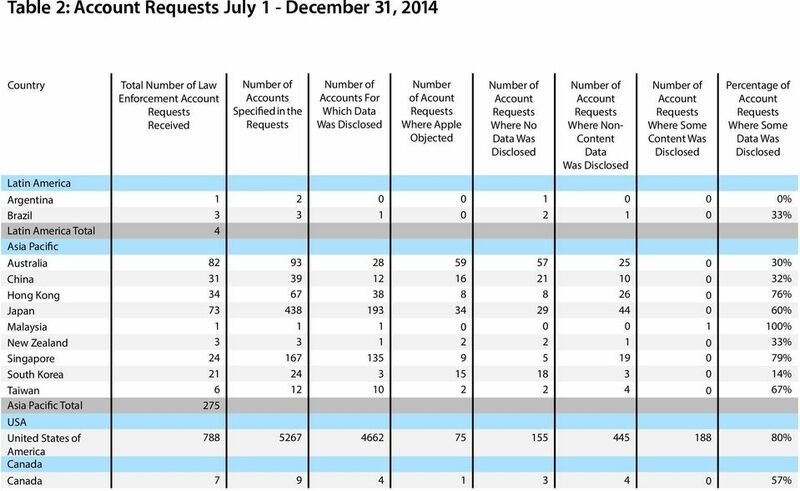 The number of law enforcement requests that resulted in Apple providing only subscriber or transactional information, but not content. For example, Apple may provide subscriber information and a limited purchase history in response to valid legal process. 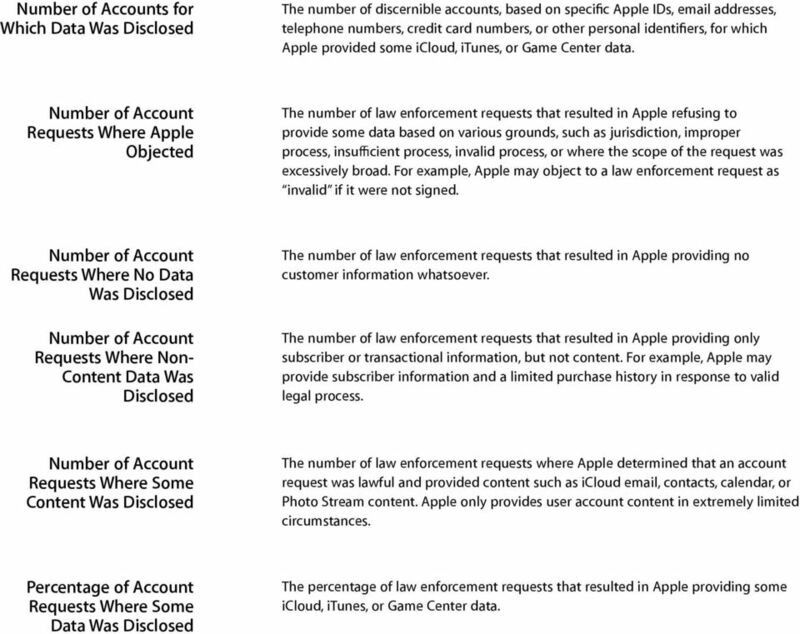 Where Some Content Was The number of law enforcement requests where Apple determined that an account request was lawful and provided content such as icloud , contacts, calendar, or Photo Stream content. Apple only provides user account content in extremely limited circumstances. Percentage of Where Some Data Was The percentage of law enforcement requests that resulted in Apple providing some icloud, itunes, or Game Center data. PC-FAX.com FreeFax. If you want to send more pages you can of course buy in the app one of the available fax packages. Motion Graphic Design Census. 10 hrs. motiongraphicdesigncensus.org. 9 hrs. Question & Answer Cisco Channel Incentive Program Cisco Opportunity Incentive Program Question & Answer Revised April 13, 2004 Section 1: General Overview 1. What is the Cisco Opportunity Incentive Program?